Shaun T is back with a new Beachbody fitness program and I can’t wait to get started! A new program means a new eating plan. I’m sharing how I’m tackling the Transform :20 Meal plan and providing you with FREE meal plan templates for your Eating Plan you can access in my resource library. Transform :20 is Beachbody’s latest fitness program from trainer Shaun T. I love me some Shaun T! He’s the motivational genius behind programs like Insanity, T25 and Cize. The high-intensity cardio & strength training program uses a step to ramp up results. The 6 week program promises to transform your body & your mind. Transform :20 is only available through Beachbody On Demand. You can learn about and read my full review of Beachbody on Demand here. I’ve really enjoyed having access to a variety of workouts. They’ve also started offering a number of on demand only workouts like Shaun T’s Shaun Week, LIIFT4 and 80 Day Obsession. The Transform :20 meal plan uses the Beachbody Portion Control Containers. It’s the same color coded system as 21DayFix , LIIFT4 and 80 Day Obsession. There’s no complicated calculations. Simply find your nutrition plan based on your gender and weight. I’m in the 168 lbs. or less Plan A nutrition plan. Each plan is approximately 30% protein, 40% carbs, and 30% fat. At first glance this meal program looks like it should be so easy. It’s broken down into color coded portion control containers: red= protein, green=veggies, yellow=carbs, purple=fruit, blue=healthy fats, orange=seeds & dressings, tsp=oils & nut butters. The food lists are even arranged with the better for you foods at the top of the list. Simple right? Only, my brain doesn’t work like that for some reason. I like to meal plan by recipes. Picking out single elements for each category makes my brain hurt and makes the menu very unappealing. I know, strange. It’s much more exciting to think about eating turkey taco lettuce wraps than it is to think about eating ground turkey, lettuce, bell pepper, onion, olive oil. First, you’ll need to use the program materials to figure out which Nutrition Plan you fall under. I am Transform :20 Nutrition Plan A. To structure my Transform :20 meal plan I spaced out the different containers throughout the day. First, I started with breakfast which is usually Shakeology with half a banana (red, purple). You could also use a teaspoon and add peanut butter to your smoothie. Then for lunch and dinner I usually do red, yellow, green & a tsp (protein, carb, veggie, oil). Lastly, I filled in snacks for the day with the remaining containers. To make meal planning easier, I usually pick a couple of snacks for the week and alternate them. Then you only have to think of 2 morning snacks and 2 afternoon snacks for the week. I also have leftovers for lunch everyday so I just take whatever the dinner meal is and copy it to the lunch spot as well. Use the Transform :20 Meal Plan Templates I created to fill in your meals. There is one for each Eating Plan. You can access the Meal Plan Templates in my free resource library. Get the password for the free library by subscribing at the bottom of this post. Now that you’ve got your template it’s time to fill in what you’re actually going to eat for each meal. To make it easy to fill in meals I’ve put together recipe ideas for different container combinations. 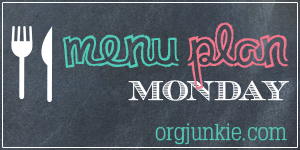 Then each week you can just pop in a recipe for each meal slot. The prep work I’ve done for you will make meal planning quick & easy. To make it even easier Subscribe to my Weekly Newsletter and get Weekly Menus delivered right to your inbox. Meal ideas for different container combinations can be found in my free resource library. Get the password for the free library by subscribing at the bottom of this post. Many of the recipes I’ve included are from the Fixate cookbook. You can access the Fixate cookbook and recipes through Beachbody On Demand. You can also purchase a hard copy of the Fixate cookbook through Beachbody or on Amazon. I’ve also included recipes from Beachbody programs like T25 and Body Beast. The Transform :20 Nutrition Plan includes Shakeology and Beachbody Performance Supplements. We usually have Shakeology for breakfast. The Beachbody Performance supplements should only be taken on workout days. I’ve been a Shakeology fan for years (see why I love Shakeology here). I’ve also consistently used the Beachbody Recover formula. I really like the orange flavor. For 80 Day Obsession I tried Energize, Hydrate and Recharge. To be honest they weren’t really for me. My husband really likes Energize and uses that regularly. I occasionally use Hydrate when I want something other than plain water. For Transform :20 I’ll be sticking with Shakeology & Recover. I do feel like I am less sore when I use Recover. Orange Recover is delicious as a shake with half a banana. I like to mix Chocolate Recover with a little water to make a dip for apples or strawberries. And that’s it! The Transform :20 meal plan made simple. If you’ve got Transform :20 meal plan ideas please share them! I’d love to feature them in my Weekly Menu and add them to my meal options.